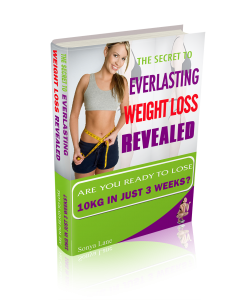 What Everyone Should Know About Burning Fat Fast…. The Rapid Fat Loss Program a weight loss program that is changing lives for both men and women. 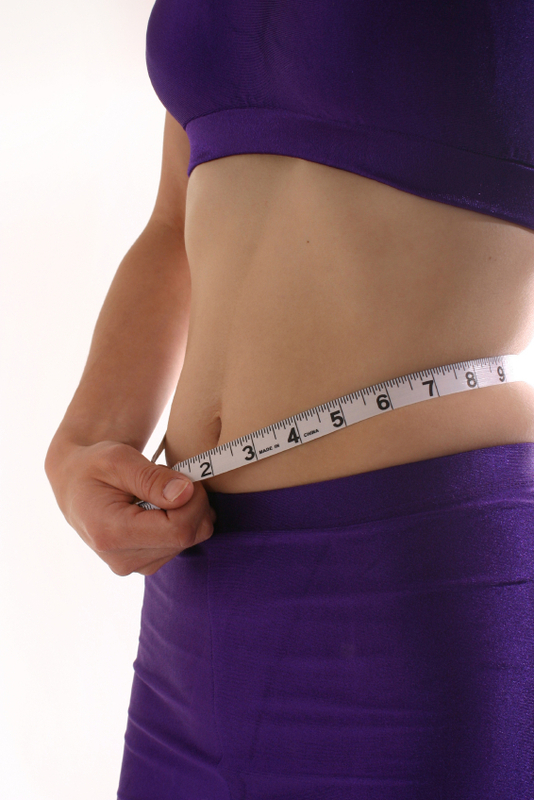 Not only to lose weight fast but assists in re-establishing a healthy metabolism. An impaired metabolism effects how your body functions, especially when it comes to losing weight, foggy brain and fatigue. Regular weight loss products are designed to help you lose weight and that is all. While only our unique and all natural Rapid Fat Loss Program burns abnormal/stubborn fat & cellulite fast PLUS its unique ability to stabilise your new weight at a much healthier level. 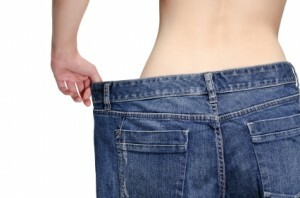 No other weight loss program truly prevents the weight loss from being regained once dieting finishes. People find the ‘yo-yo diet’ effect very disheartening. You lose weight only to find it marching back on within several weeks or months. For many people the ability to control their metabolism becomes depleted by the time they reach adulthood. This is due to many factors; chemicals found in modern farming practices, the increased consumption of processed foods containing many chemical additives such as flavour enhancers, stabilisers, artificial sweeteners, colours and preserving agents. Stress, shock and hormonal changes are also common factors unsettling our Metabolic centre. Without the ability of the metabolism correction centre to stimulate the metabolism, the body’s fat set point increases our weight to a range higher and higher, meaning that our “control centre” perceives that the new higher weight is normal and takes control and try’s hard to not let you lose weight. This is why some individuals can plateau at a certain weight on a diet and not budge past that level despite every efforts. The simple truth is regular “diets do not work”, they are slow to burn fat and they can trigger the body’s defences and destabilise your metabolism. In the large majority of cases, any initial weight loss is followed inevitably by long-term weight gain, and often an additional 5kg. Not only this but regular dieting causes a “lock up” of your metabolism, making it even harder to burn unwanted/unhealthy fat deposits. This explains why a long term dieter can lose next to nothing as they attempt to lose weight again and again, too often leading to the familiar diet/binge cycle that can damage physical health and cause shame and stress. Fortunately the Rapid Fat Loss Program solves this long standing problem by correcting the metabolism after every round of weight reduction. In fact your metabolism will get more and more resilient as you commence with this program. The Rapid Fat Loss Program helps you learn how to avoid the triggers and your bodies responses that can sabotage your efforts to control your weight and develop change of life healthy eating strategies. 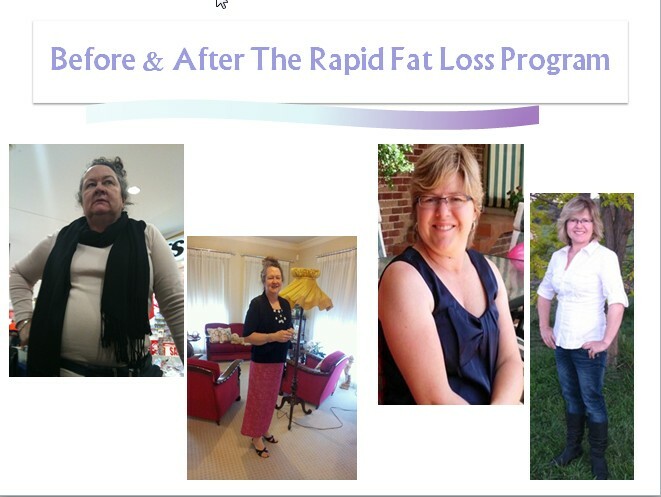 UNIQUE BENEFITS OF THE RAPID FAT LOSS PROGRAM..
Quick and effective weight loss, usually only 3 weeks of dieting at a time. Not months or even years. Re-Shapes your body as you burn fat & cellulite.